Why use Cake Flour? All your questions about cake flour answered here. If you’ve ever wondered about cake flour, all your questions are answered here! Learn all about why this ingredient is often used in recipes, what it is, where to get it, and how it’s used. I’ve been using cake flour in my cake and cupcake recipes since way before I ever even started this website. If you’ve been tuning in to my Live recipe demos (11am EDT on Facebook and Instagram! ), then you’ve probably heard me explain why. It’s one of the number one questions I get asked by readers. So I thought it was about time I break it all down and explain it in a post. This is going to be the first in a series of non-recipe posts! 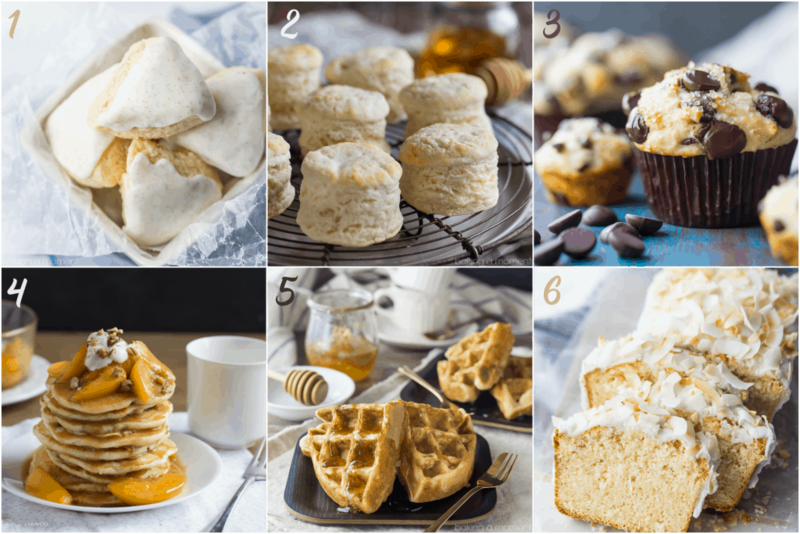 I’m tentatively titling the series “Bake like a Boss: tips & tricks that will take your baking to the next level.” What do you think? So, today’s topic is cake flour. I have a lot of cake and cupcake recipes on this site, and most of them call for cake flour. Cake flour is a flour that is very finely milled from soft winter wheat. It has a lower protein content than all-purpose flour, and it is finer, lighter, and softer. It’s also bleached, so the color is paler and the grain is less dense. Because of the lower protein content, cake flour produces less gluten. You know when you’re making bread and it gets that chewy, elastic texture to it? So yummy right? Well, it’s good when you’re talking about soft pretzels, but it’s really not so good when you’re talking about cakes. When it comes to cakes, we want them to be light, soft, and tender, with a fine, close crumb. And that is exactly what you will get if you use cake flour! The first time I baked a cake with cake flour, I was astonished. It sounds silly, but it was kinda life-changing for me. I could not get over the difference it made in that cake. Ever since then, I swear by it! I mean, if you’re going to go to the trouble of baking a cake from scratch, wouldn’t you want it to be the best possible cake? Ever since that first cake, all those (cough! cough!) years ago, I’ve always made sure to keep cake flour in my pantry. WHERE DO YOU GET CAKE FLOUR? Cake flour is pretty easy to find here in the US. I’ve never been to a supermarket that doesn’t carry it. It’s always found in the baking aisle, right in the same general area as all-purpose flour. There are all sorts of flours: bleached all-purpose, unbleached all-purpose, bread flour, pastry flour, whole wheat flour… the list goes on and on. Cake flour is just another one of those, unique in its purpose, and it can be found right alongside all the others. It can also be ordered online. Click here to see several different options. Some of my favorite brands are Softasilk, Swan’s Down, King Arthur Flour, and Bob’s Red Mill. They are all great products and will yield excellent results. If you do not live in the US, you might have a little more difficulty. As far as I know, there is nothing quite the same available in Europe. 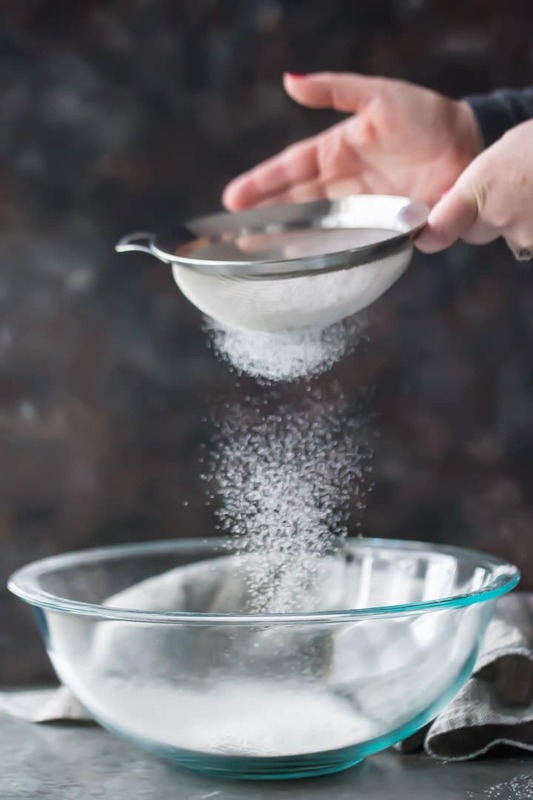 Cake flour is NOT “self-raising flour,” and it is NOT “sponge flour.” The closest thing would be “plain flour,” sifted with a little cornstarch (see “Cake Flour Substitute” below). CAN I JUST USE ALL-PURPOSE FLOUR INSTEAD OF CAKE FLOUR? In a pinch, yes. But if you really want to bake like a boss, I’d highly recommend keeping a box of cake flour in your pantry. If you use all-purpose flour, you will notice that your cakes and cupcakes will have more of an open crumb. In other words, there will be bigger pockets of air within the cake. They will also be a little more dense and chewy. I prefer the light, soft texture of cakes that have been baked with cake flour. 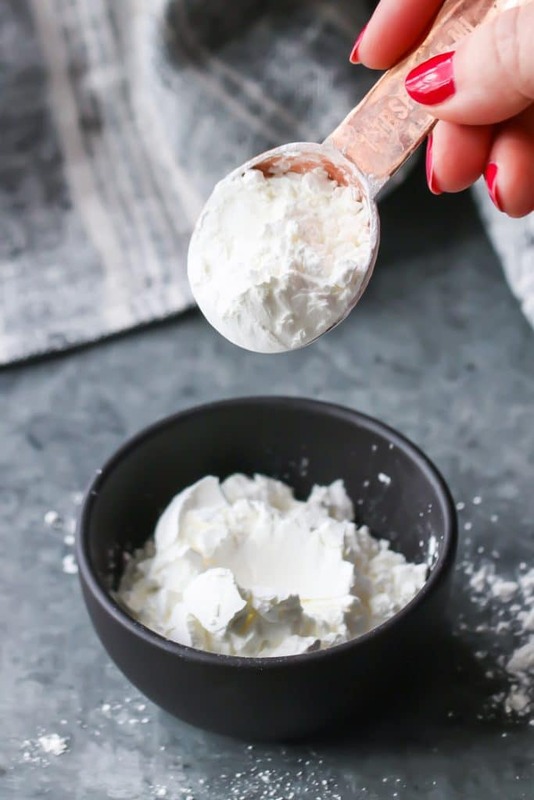 If you’re still not convinced, or if you live in a part of the world where cake flour is not available, you can create a reasonable facsimile by replacing 2 tablespoons (for every cup) of all-purpose flour with cornstarch. Cornstarch has very little protein and it will help to lighten the all-purpose flour. Depending upon where you are in the world, it may go by the name “corn flour.” It is white and powdery. It is NOT corn meal, which is usually yellow and gritty. Sift the flour and cornstarch together, then measure, either by weight or by lightly spooning into a measuring cup and then leveling off. NEVER pack flour into a measuring cup! With that said, just bear in mind that this substitution is still not exactly the same thing as cake flour, and so the results will be better but not identical. Most of the recipes here on Baking a Moment are measured by cups and teaspoons, because that’s the way the majority of my readers bake. 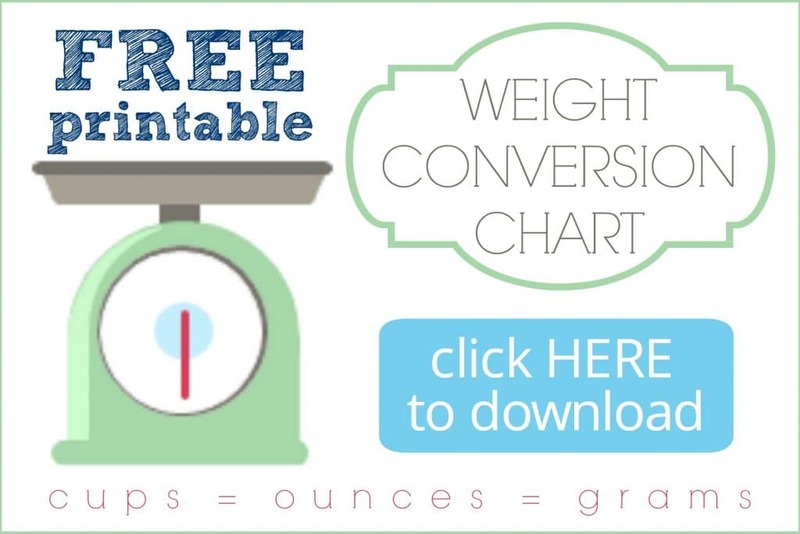 But if you prefer to measure your ingredients by weight, be sure to check out my free printable Weight Conversion Chart. No, cake flour is not gluten-free. It is still made from wheat. 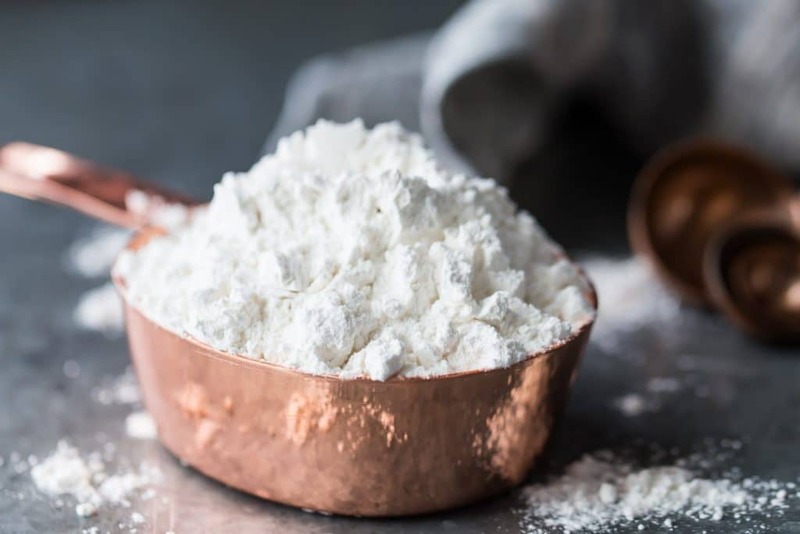 While it does produce less gluten than all-purpose flour, it’s still not recommended for people who have a gluten intolerance. WHAT CAN I USE CAKE FLOUR FOR? Obviously cake flour is great for cakes. But what if you don’t bake a lot of cakes and you want to use up what you have left over? Good news! Cake flour is great in all kinds of recipes. Any time you’re baking something that wants to be airy and delicate, cake flour is a great option. But I would stick with all-purpose flour for things like cookies or pie crust, and use bread flour for anything yeasted (such as pizza dough or dinner rolls. Follow me on Pinterest for tons of great recipe ideas! How do you substitute cake flour for regular flour? 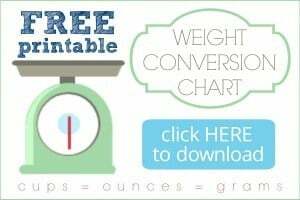 Are different amounts necessary? Hey C! Most of the cake/cupcake recipes on this site already call for cake flour, so you can just bake them as is! Hi Allie, Great post with lots of useful info. Quick question: what about brownies? I’m thinking if I want cake-like to go with cake flour and if I want dense and chewy to go with A/P flour. Am I on the right track? Thanks. Hey Vicki! You can play around with that but honestly I think cake-like brownies depend more on the ratio of eggs to other ingredients than they do on the type of flour used. Give it a try though and let me know what you think! My favorite brownie recipe is this one: https://bakingamoment.com/simply-perfect-brownies-from-scratch/; they’re definitely more in the dense/chewy category! The recipes I use dont call for cake flour, I’ve read a few different conversions but not sure what to use. Always go with what the recipe says Payton! Many of my recipes call for cake flour, so this article was meant as an explanation as to why I often recommend it. Why should we not use cake flour instead of all-purpose in a simple cake if it has better results? Hey there! So sorry but I’m not really sure what you mean. You absolutely should use cake flour when it’s called for in a recipe. thanks for the post! I was unable to find cake flour for a strawberry cake that calls for it. I did find pastry flour. would you recommend substituting the pastry flour, or AP flour w/cornstarch? thanks! No problem Keely! I would probably recommend that you go with the AP Flour/Cornstarch option. I think it’s the closest you will get to cake flour. Hope that’s helpful! Hi can I just use cake flour in your white cake recipe? Hey Nancy! You can try it but I actually prefer to make that recipe as written. It just comes out a little sturdier that way, but feel free to make it however you like! Can you over-beat the batter with cake flour? I made an old recipe that I always use regular flour in and used cake flour. The layers were much thinner than normal. Hey Natalie! The biggest danger in over-beating batter is that it could develop the glutens too much and result in a tough cake. If your cake came out thinner than normal, it could be a number of other things that caused it, such as not beating in enough air, using old, expired leavening, or underbaking. Without being familiar with the recipe you used, it’s tough for me to say for sure, but I don’t really think the cake flour was likely the cause. Any adjustments for high altitude? Hey Carmen! I just googled “high altitudge baking” for you and came up with a lot of great results. You can check them out here: High Altitude Baking. Hope that’s helpful! Hi Kelly! I’m so excited you’re going to make Madeleines. They’re one of my favorite treats! I think you could probably sub some of the flour with cake flour and still have a nice result. 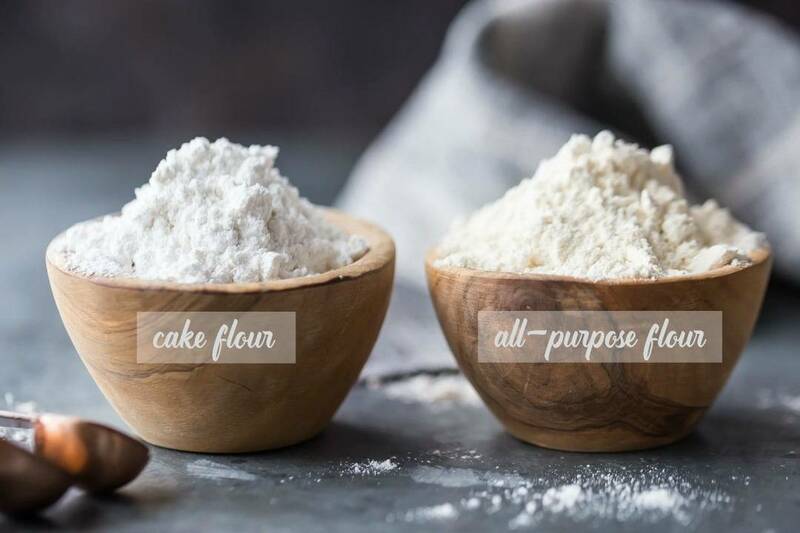 It’s always a balance of strength (from ap flour) vs. lightness (from cake flour). Play around with the ratios and see what you like! Good luck! I would like to make your Boston cream pie in a 13X10 inch rectangular glass dish. Should I double the recipe? It is for a large group. Hi Barbara! Can you help me to understand a little better what it is you are trying to do? Since this is a double layer cake I’m unclear. Will you be using 2 13×10 glass dishes? Hi! 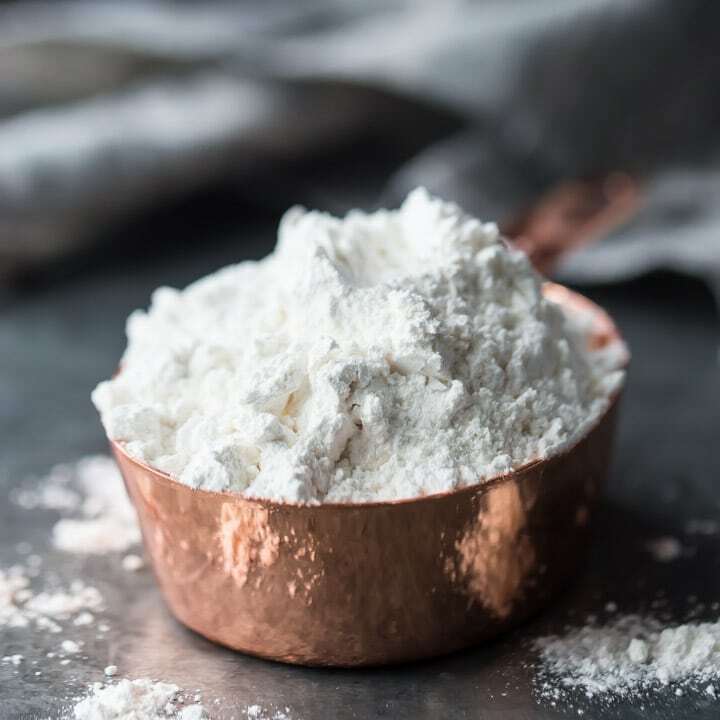 Love your website 🙂 How do you know calculate the ratio between plain flour to cake flour in your recipes? Hi Jade! Thank you so much! Recipe testing is a huge part of what I do. So it’s really just been a trial and error process with each recipe. Hope that answers your question! I’m thinking about making some homemade chocolate flour tortillas but I want them to be really soft and kinda fluffy would cake flour work? I’ve never tried- but if fluffy and soft are what you’re going for, that might be the perfect solution! Hi Jeanne! Thanks for reading and for the great question. To be honest I am not familiar with that particular product, but it sounds like it may be similar since cake flour is also lower in protein. I would definitely give it a try and see how you like the results! Allie, what about using White Lily AP flour? The protein content for the White Lily is 8gm/cup which is the same as the Swans Down and Softasilk. I blend my own flour to get a good pastry flour so I have KAF and White Lily on hand. I don’t know why I didn’t think to use the White Lily for cupcakes, but I’m going to try it and see how they turn out. I make more cookies, muffins, and pies than I do cakes and cupcakes. Great tip! Thanks so much for sharing Julia! I recently made a batch of an Italian cookie the family calls Biscotti, although its not like the twice-baked treat. It is a rolled cookie with an added icing. I used all purpose flour but the surface of the cookie came out slightly “textured” instead of smooth. So for the next batch of similar Italian cookie, I used 1/2 cake flour and 1/2 all purpose. It solved the surface texture problem, but I had to add a lot more flour to the dough because it was so sticky initially that I could not roll it out. The resultant cookie looked good but was a little dry. Any suggestions for solving the cookie texture problem and the use of cake flour . . . Is it less absorbent of recipe liquids? Hey Joanie that’s so interesting! It’s hard for me to say without seeing or ever having tasted the recipe- I don’t really know what the texture is meant to be like. It does make sense that a higher protein flour might be less absorbent. Have you ever thought about adding a little cornstarch to your cookie dough? This is something I do a lot, and I love the texture that it gives to cookies. I can’t say exactly how much to add without knowing the recipe, but maybe sub out 1/4 cup of flour for cornstarch, and then if the dough is still too sticky just keep adding flour until you get the consistency you’re looking for. I hope that’s helpful! Thanks for reading and for the great question. Can I replace corn starch with potato starch? I’m honestly not sure. I’ve never tried that so I can’t guarantee that it would give the same result. Sorry! I’ve never used cake flour before. I’ve always used all purpose flour for baking cakes and cookies. I am baking cupcakes next this week and was told to use cake flour. What is the difference on the end results. Hey there! Did you read the article? There’s lots of info here on what cake flour is, why it’s often called for, and what kind of result it gives in comparison to all-purpose. Now I have to go get some cake flour! No, all-purpose flour is not the same thing as cake flour. Hey Abby! That sounds like it’s probably the right kind of flour to use. Good luck! I’m looking to bake a carrot cake for Easter and have a lot of leftover cake flour. Would you recommend using cake flour instead of all purpose (every recipe I find says to use all purpose)? If so, just swap out the cake for all purpose or is there some sort of conversion? 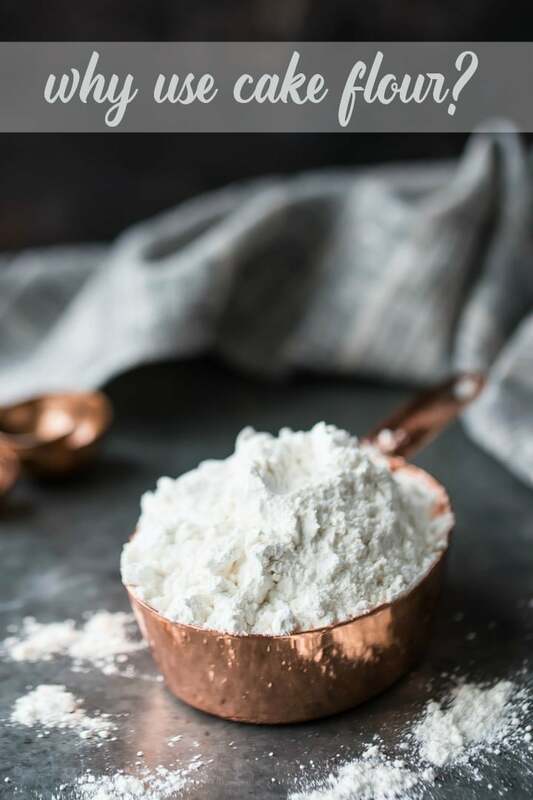 My favorite carrot cake recipe calls for cake flour- you can find it here: https://bakingamoment.com/carrot-cake-with-cream-cheese-frosting/. Hope you enjoy!